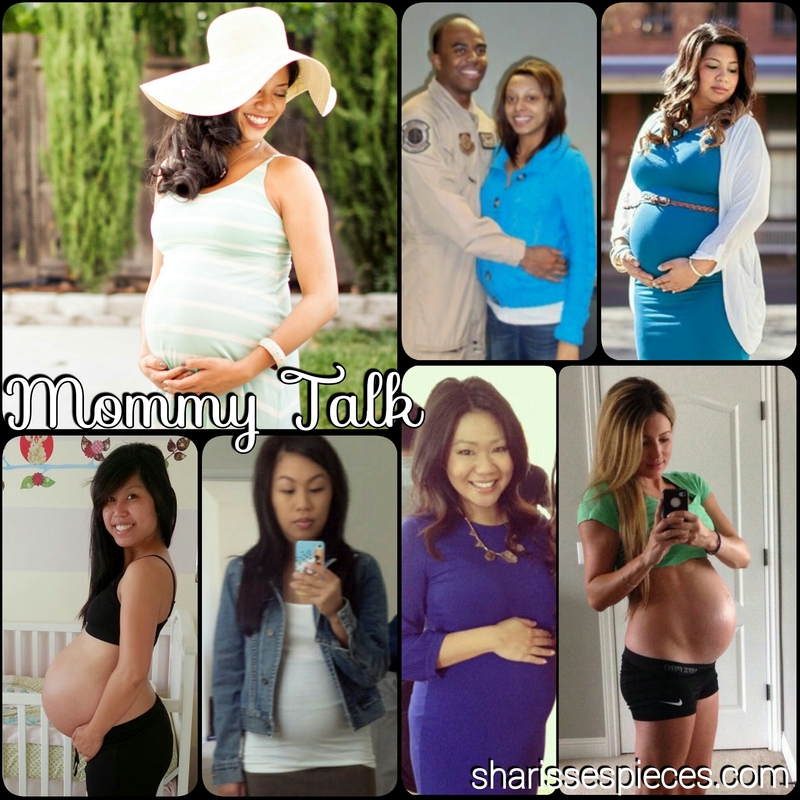 Mommy Talk is a collaboration of moms and moms-to-be on my blog, sharissespieces. Through a series of posts, I will share their stories, experiences, advice, and all things baby- & mommy-related! Each blog post will feature a new and special topic that I find helpful, interesting, or just plain cool about being a mommy. Upon knowledge of my first pregnancy, I read and researched nonstop (and still do). However, despite the endless books, magazines, and websites available, I found myself always longing for that personal connection that went beyond the page or computer screen. I needed REAL moms with REAL experiences. Nearly every woman with whom I’ve crossed paths has shared words and feelings that have meant more to me than almost any published book or fancy-shmancy website. It’s not that I tossed the pregnancy and parenting resources to the curb. It’s just that I felt a surprisingly pleasant amount of comfort and support through simple conversations with moms who have been down the road of pregnancy and motherhood at some point. Naturally, as someone who likes to talk and write, I felt an urge to record these women’s stories. 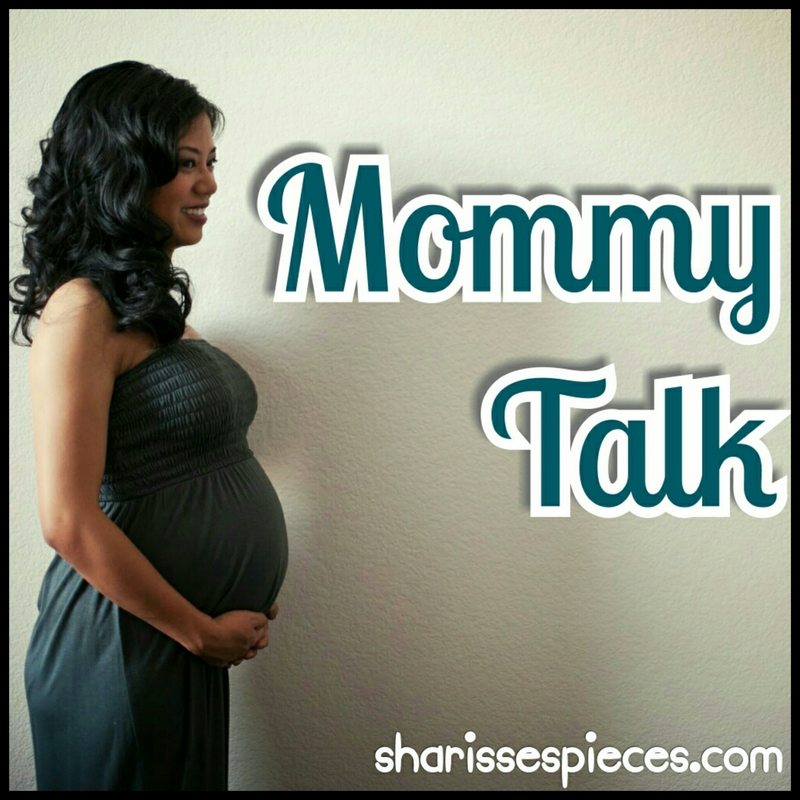 “Mommy Talk” is my way of giving back to the world of mommyhood. By giving moms an opportunity to share their experiences and learn from each other, this project brings me full circle by inspiring and teaching moms who were once like me – desiring that personal connection with other moms who are also trying to navigate the challenging waters of motherhood. You will meet first-time moms, moms who have done this before, and expecting moms. Moms who work outside of the home, stay at home, or do a little bit of both. Moms who have delivered babies full-term or prematurely, and whose babies spent time in the NICU (neonatal intensive care unit). They are not only moms; they are wives, girlfriends, fiances, stepmoms, sisters, and aunts. Some of them love parenthood in its entirety, while others find it more challenging and not quite what they had imagined. Nonetheless, these are moms who love, laugh, cry, fight, tire, work hard, sweat, bleed, clean, cook, bake, sew, draw, write, dream, run, play, jump, fall, crash, give up, push forward, and try over and over again. These moms cherish their babies. They adore them and only want the very best this world has to offer them. They have a lot to say and I can’t wait for you to listen and enjoy the ride with us. For me personally, this series will help me as I continue to navigate the waters of first-time mother/parenthood, raising twins, and working full-time out of the house. For you moms and moms-to-be out there reading “Mommy Talk,” I hope you will learn a thing or two, or at least enjoy reading along. I especially want you to know that you are not alone. 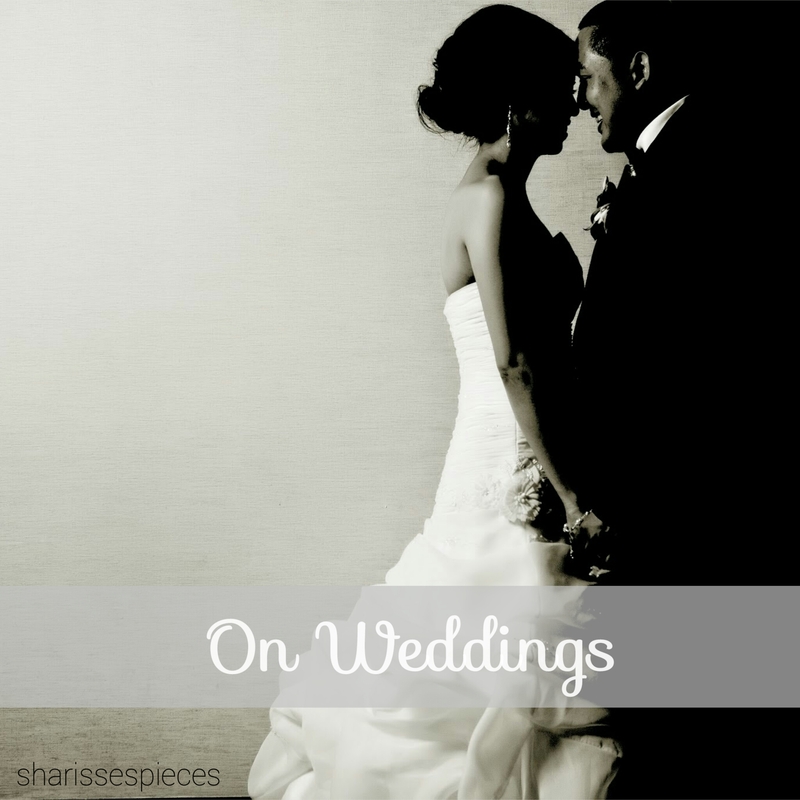 “Like” sharissespieces on Facebook and follow me on Instagram @sharissespiecesblog. 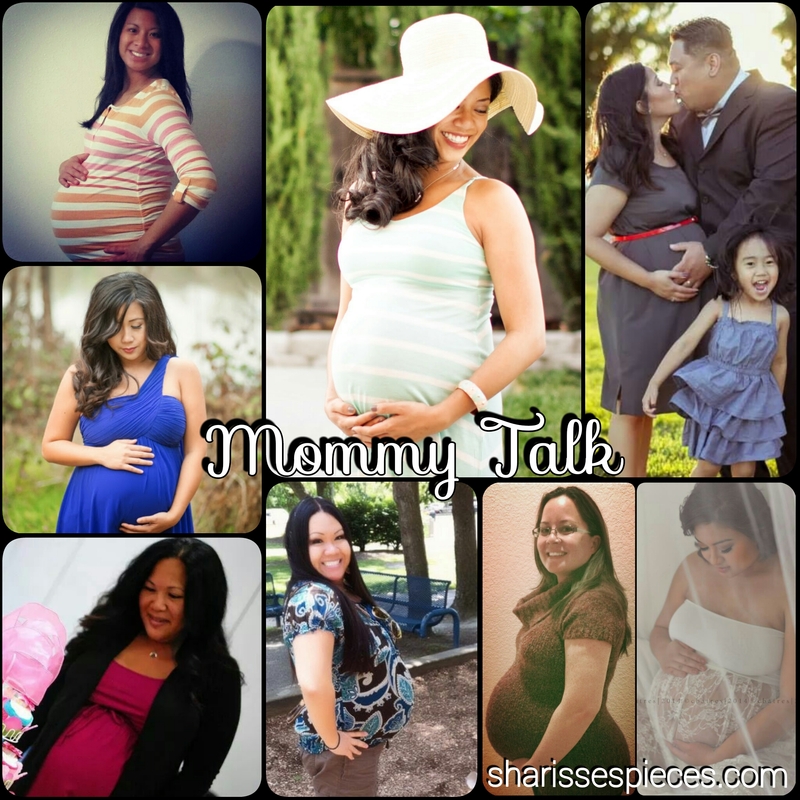 Can’t wait for the Mommy Talk series to begin? 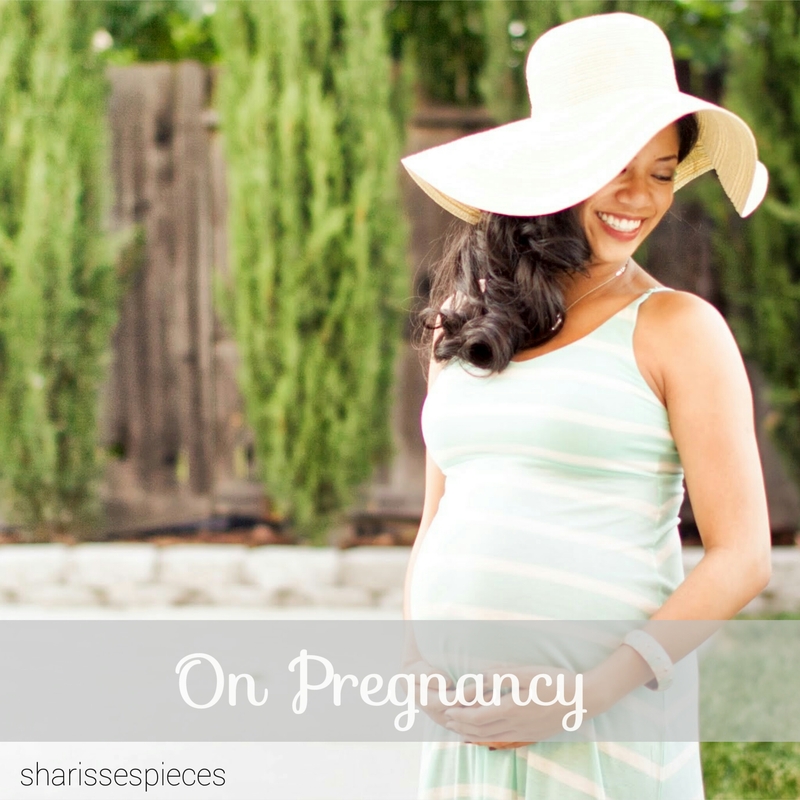 Read more about my pregnancy and baby story in the meantime. Did you know I am sponsoring TwinMommy101 for International Baby Wearing Week? 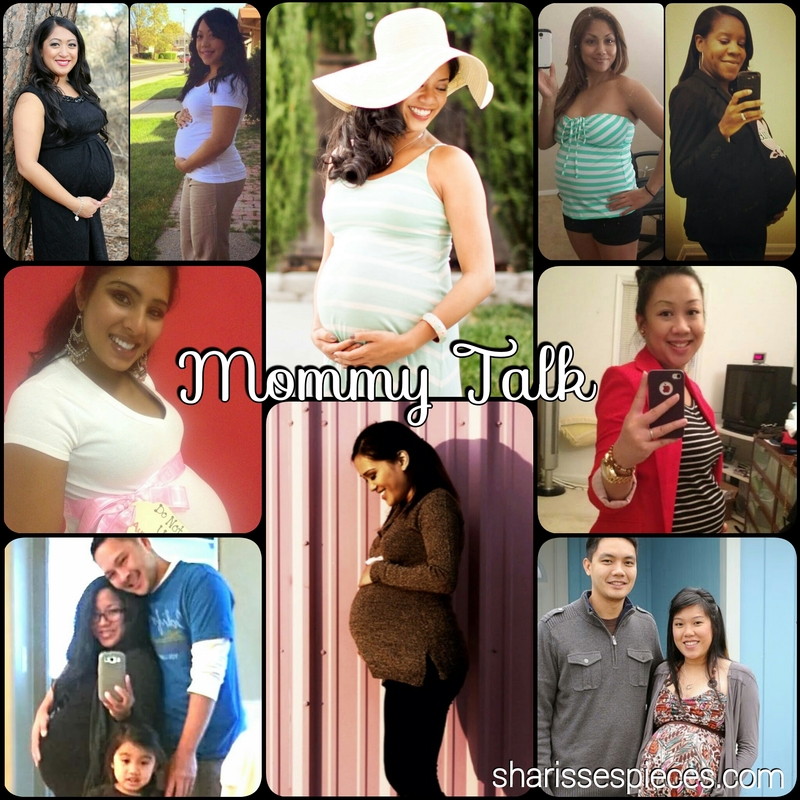 Check out TwinMommy101 as she celebrates International Baby Wearing Week! The best part is, there are g-i-v-e-a-w-a-y-s all week long!!! This entry was posted in Mommy Talk Series, pregnancy and tagged baby wearing, blogging, mo, mom bloggers, motherhood, pregnancy. Bookmark the permalink. 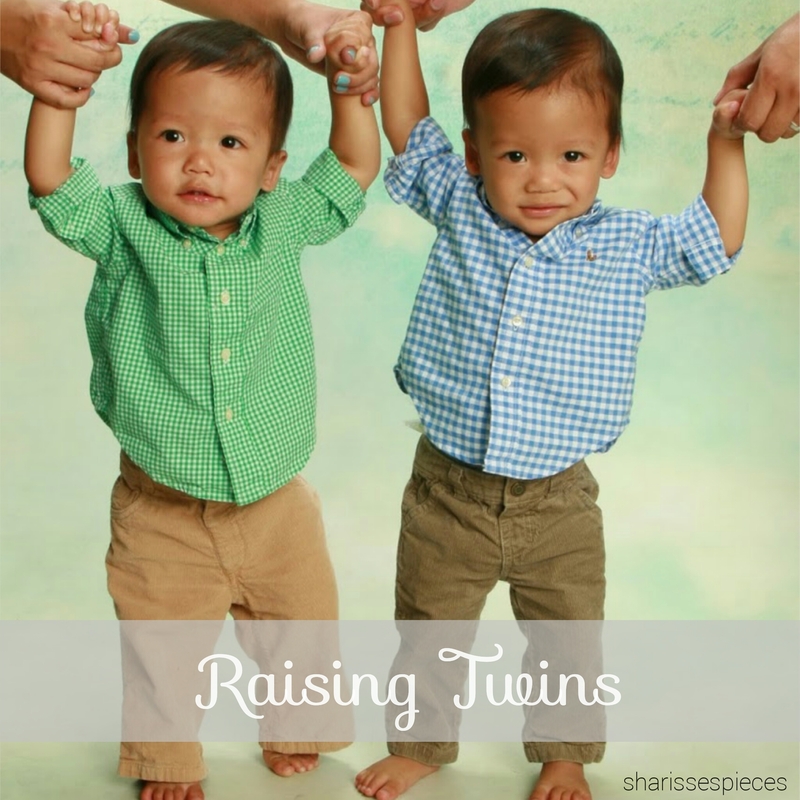 ← I’m an offical sponsor for Twinmommy101!